I share your misgivings about Dr Mohamad Nawar's 'progress' in UMNO and especially in the UMNO Supreme Council. The Malays have all the trappings of modernisation but their attitude towards power/influence and the monopoly of power is still very feudalistic and short-sighted. It's such a joke, when non-Malays are up in arms about the agenda of "Ketuanan Melayu". They really have no worries because that attitude of patronage and power - of the Ketuanan of SOME Melayu - is also applied to the Malays. This is the nub of the durian and mentimun mentality. I fear that those in UMNO who are threatened by Dr Mohamad Nawar's stance and ability may do the usual Malay thing - isolate him and clip whatever wings he has got. It was so in my father's day, during my days and even up to now!! I salute this delegate from Kedah and may his talents and commitment find their day in taking the Malays out of this present black hole. Have you heard of this Dr Afif Bahardin, from Seberang Jaya? 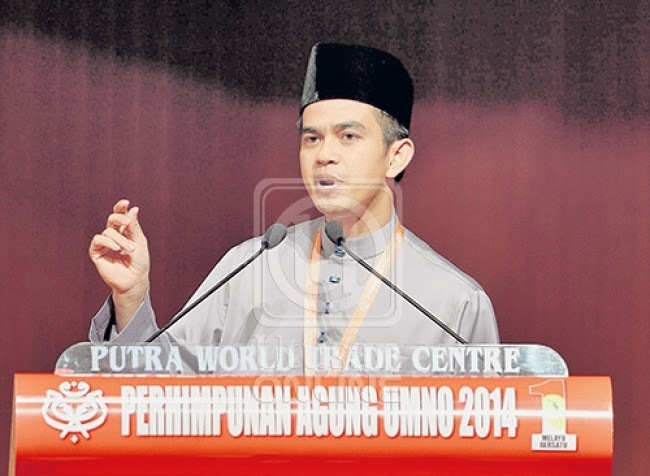 Tokong Lim appointed him as EXCO for Agriculture, Health & Rural in the Penang government at the age of 28 last year. I'm not in the slightest bit surprised. The PAP oops! I mean the DAP are always quick on the draw. One Tokong emulates the other. 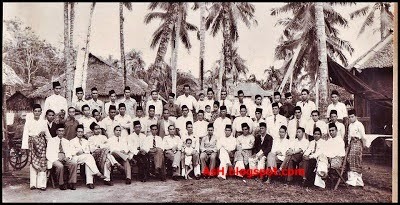 Just look at the Malays that the PAP in Singapore adopt!! As for UMNO - they are what the Singaporeans would describe as 'boh chap', meaning can't be bothered. They live on the principle (?) of "itu jam hujan, itu jam cari payung". The Malays have too many Lunchai and Pak Pandir. But UMNO since the 1980s is all about patronage, money, contract deals, power, and sucking up to the leaders. The good old boy network doesn't like young people with ideas that can potentially disrupt their dynasty and the succession plan for their progeny. Dr Nawar will be ignored or most likely become victim to the 'cantas-mencantas' culture endemic within the party. Ironic that young Malays these days see alternatives in other organizations, even in the DAP and yes, even the Parti Sosialis. All the more, talented and committed young Malays must shake the bad apples off the UMNO tree. This being Malaysia, with a toxic racial mixture and hence racial politics, Malays need to keep together.